HALE, Shannon & Dean Hale. 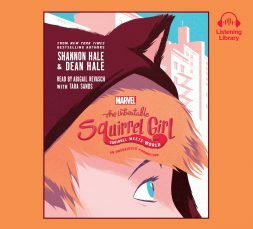 The Unbeatable Squirrel Girl: Squirrel Meets World. 7 CDs. 7:53 hrs. Listening Library. Feb. 2017. $24.99. ISBN 9781524734077. digital download.